Improvements such as an 8-inch high-resolution display, a new instrument cluster, and a rearview camera are all standard. Mercedes-Benz has travelled to the 2017 Detroit Auto Show to showcase its new and improved look for its GLA small SUV. With the current model having been around for two years, the German carmaker has only introduced a minor mid-cycle refresh to improve its luxury look, and introduces some new features to the interior. 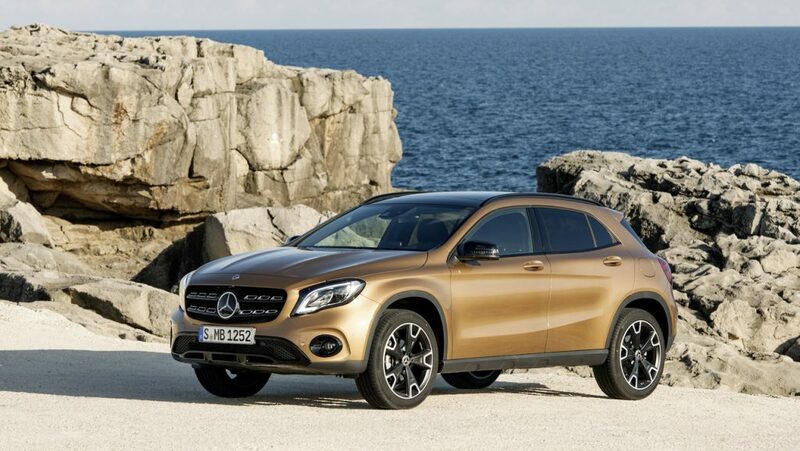 The GLA gains a front fascia, which is a slight revision more in line with its C-Class and GLC siblings. The rear bumper is slightly new too, and features an edgier design with a piano-black plastic bumper. The exterior finishes off with a new wheel design, available as standard and optional. 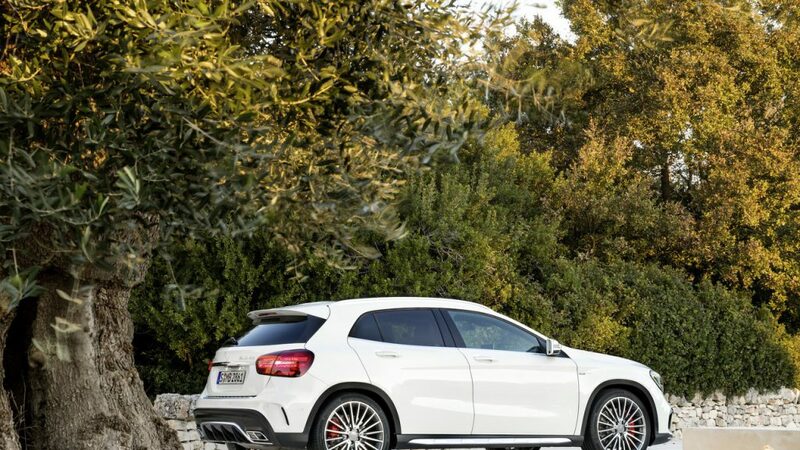 Jumping into the cabin, the GLA gains the most dramatic changes. Improvements like an 8-inch high-resolution display, a new instrument cluster and a rearview camera are all standard, as is the addition of Android Auto smartphone integration. Aesthetically, the outdated Burl Walnut trim has been replaced with a more modern Black Ashe Matte Wood Trim, and the addition of a Canyon Beige exterior (pictured above) makes the whole package feel a bit more grown up. Buyers can also opt for a limited Ice Edition Package. In terms of performance, Mercedes-Benz is set to retain the current 2.0-litre inline-four turbo, which produces 155kW and 349Nm of torque. With the standard 7-speed dual-clutch transmission equipped, it makes for a 0-100km/h time of 7.2 seconds with front-wheel drive, or 7.1 seconds with the 4Matic four-wheel-drive system equipped. 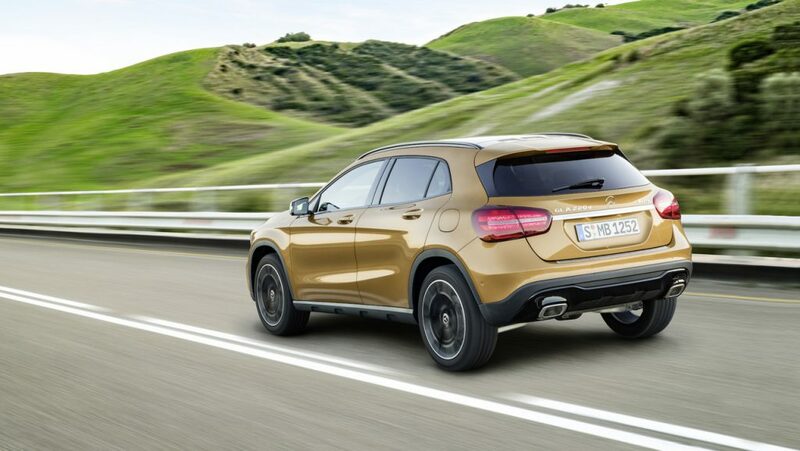 The GLA will max at an electronically limited top speed of 209km/h. 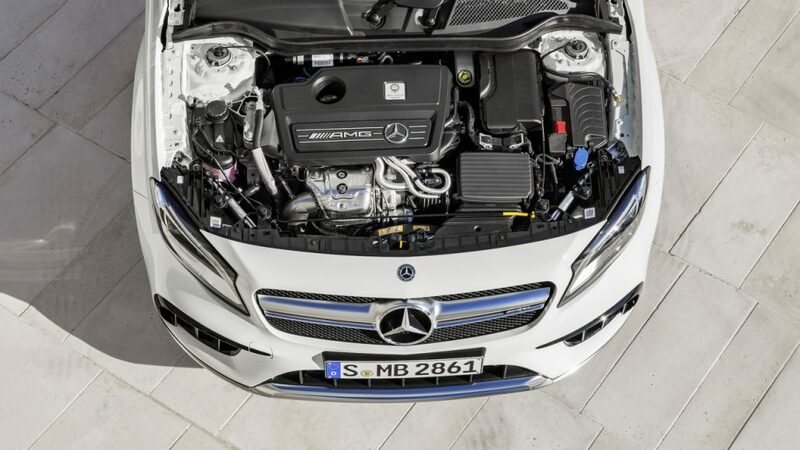 News about the range-topping GLA45 AMG suggests it gets all the same aesthetic upgrades that the base 250 does, but its 2.0-litre AMG inline-four pumps out a hearty 279kW and 475Nm of torque, propelling it to 100km/h in 4.4 seconds up to an electronically limited top speed of 249km/h. 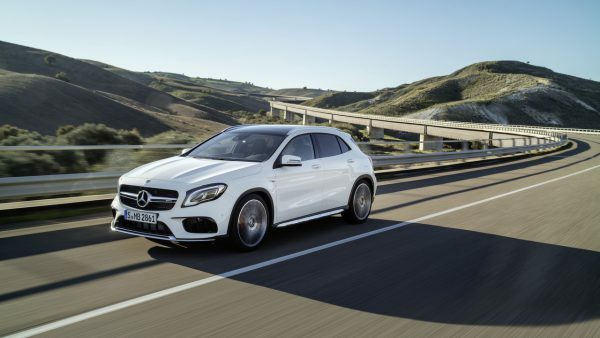 Some extra features have been added to the GLA45 over the base 250, such as a new rotary knob, an ‘M’ button for manual mode, and the option of black, red-and-black, or silver AMG Design Trim to go along with that already aggressive exterior package. The new and improved GLA range will likely go on sale during the fourth quarter of 2017. Pricing has yet to be released.